We congratulate our favorite camera, lens and accessory manufacturer on reaching the 100th Anniversary milestone. 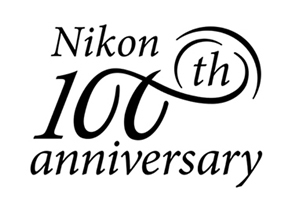 Nikon Corporation President Kazuo Ushida will celebrate the 100th anniversary of its establishment on July 25th of this year. Since its establishment (as Nippon Kogaku K.K.) in 1917, Nikon has provided the world with unique value based on opto-electronics and precision technologies. Our member are currently discussing this anniversary and we encourage you to join the discussion. Nikon began as Nippon Kogaku K.K. (Japan Optical Industries Co., Ltd.) on July 25, 1917, at 120 Haramachi, Koishikawa-ku (present-day Hakusan 4-chome, Bunkyo-ku) in Tokyo, starting domestic production of optical instruments such as rangefinders and microscopes. It was many years later (late 30's-early 40's before a Nikon camera surfaced from this new company, and for you trivia buffs, have a look at this historical site which tells us that the first rangefinder camera out of Japan was actually a Canon Hansa, bearing a Nikkor lens. 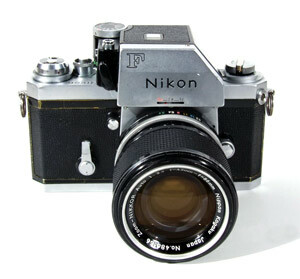 The historic Nikon 1 didn't debut until ten years later (going in production in 1948) and the first Single-Lens Reflex (SLR) camera from Nikon followed another ten years later (the Nikon F in 1959). Nikon's long history in the world of photography is rich with stunning images captured on Earth and the Moon. The 1968 Nikon Photomic FTN was the framework for Nikon's entry into space photography when the company entered into an agreement with the National Aeronautics and Space Administration (NASA) to support the Apollo Program in the early 70s. 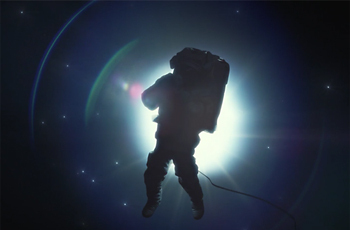 Nikon's 100th Anniversary website includes a short video (less than six minutes) leading off with a nod to their space cameras. We have members of our community discussing the return of a favorite film. 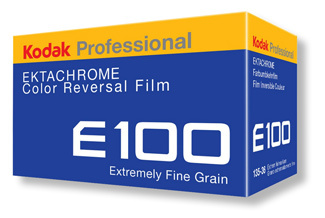 Specifically, Kodak Ektachrome positive film. To understand the excitement, we need a quick history lesson. How many of our community members recall the Kodak DCS 100? It was a Nikon F3 camera with no need for film, thanks to Kodak's entry into digital media. In 1991 this camera debuted commercially at a price tag of close to $20,000 (USD). Some variations soared past $25,000. It featured an amazing 1.3 megapixels and is recognized as one of the first true digital single lens reflex (DSLR) cameras. 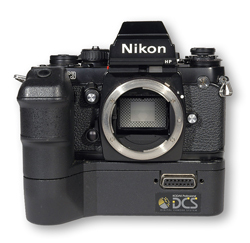 Many DCS models emerged from that milestone camera, including version by Canon and Hasselblad (to name a few). The good news was it led to the mainstreaming of digital photography. The sad news was it led to the virtual demise of mainstream film photography. Kodak, known for nearly a century as the industry leader in film technology, had helped make their bread and butter film business dwindle. Of course we still have many photographers embracing film technology, and new fans of the analog method emerging every year. Now, we see the results of that new trend. Kodak Alaris has announced the reintroduction of the iconic KODAK Ektachrome Film for professional and enthusiast photographers later this year. The new Ektachrome film will support 135-36x camera formats and be available in fourth quarter 2017. If you are already dusting off your film cameras, join the discussion here. Nikon has (again) announced the newest addition to their D5000 DSLR series. This is the second announcement of the Nikon D5600. At that time (November 2016) the camera was only available in a limited market, and the official suggested retail price had yet to be made public. 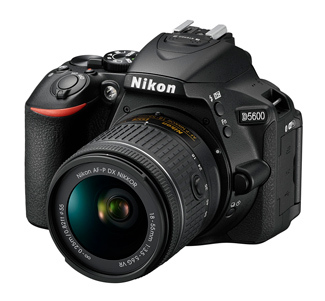 The Nikon D5600 features Nikon SnapBridge, which allows users to automatically transfer images directly from their camera to a compatible smart device. The Nikon D5600 should be available this month, in a variety of kit configurations as well as body only. The body only suggested retail price will be $699.95 (USD). Our members are discussing news of the recent announcement here. The Nikon Product Page for the D5600 is here. Specials congratulations go to Geoff Baylis (GBaylis), who took top honors in two categories for the month of November. Our member driven contests are unique in many ways. Unlike most other photo contests the workings of our contests are transparent. 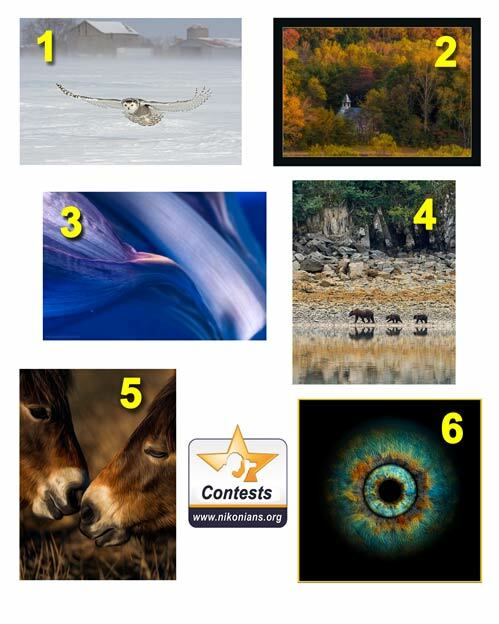 Our members choose the monthly themes, all entries are visible to the entire community as they are posted and you are the judges not an invisible behind the scenes "expert." 1. -- Wildlife - "Raptors - Big and Small." theme winner Koos Erasmus (Rassie) from Ontario Canada with his image titled Gliding Snowy. 2. -- Landscape - "Fall Colors" theme winner Thomas Sprunger (Melman59) from Indiana, USA with his image titled Church in Cade's Cove. 3. -- Macro - "Food" theme winner Tom Jacob (sevendayimages) from Spain with his image titled Garlic Food Pin-up. 5. -- Digital Artistry - "My Favorites" theme winner Geoff Baylis (GBaylis) from England, The United Kingdom with his image titled Tender Moment. 6. -- Assignment - "Abstract Body" theme winner Geoff Baylis (GBaylis) from England, The United Kingdom with his image titled Eye'm Watching You! On the blog, each photo title serves as a link, which will lead you to explanations behind some of the photographs and an overall look at the competition. "What more can I say - let's start the new year with a fun assignment - submit images where the subject is fluffy. Have fun with this assignment, but make sure the image is wall worthy."